Unauthorised access via the iPhone's USB port will soon be a thing of the past. In an effort to stop hackers and other unauthorised parties from unlocking its devices, Apple has announced that it will soon change the default settings of its iPhone. This will make it more difficult for police and other law enforcement agencies to unlock iPhones without authorisation though the company has denied allegations that the change is meant to stop US law enforcement. Law enforcement agencies outside of the US will also be affected by the change and this worries police who see being able to unlock iPhones and iPads in their investigations as crucial to their work. In 2016 Apple found itself at the centre of a police investigation after refusing to unlock the iPhone of the person responsible for the San Bernardino attack. Eventually the FBI ended up turning to hackers to gain access to the smartphone though the company's new change to the iPhone's settings will soon make this impossible. “We're constantly strengthening the security protections in every Apple product to help customers defend against hackers, identity thieves and intrusions into their personal data," Apple said in a statement. We have the greatest respect for law enforcement, and we don't design our security improvements to frustrate their efforts to do their jobs." 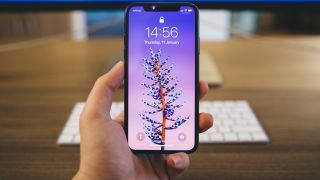 Apple has always placed a strong emphasis on the security of its mobile devices and finally patching the USB loophole is just another example of how the company is trying to protect the privacy of its customers.